In these lessons, students will be introduced to the world that Shakespeare lived and wrote in. This will help them to build an informed overview of the social and historical contexts important to the dramatic world. Tasks include: comparing Ovid's 'Pyramus and Thisbe' to Shakespeare's play within a play; exploring the tradition of the masque and its presence elsewhere in Shakespeare; and revision on how to write about the play in its wider contexts. Can I compare Shakespeare’s play with extracts from his key source texts? Can I clearly explain my ideas about how Shakespeare’s play was influenced by these sources? Show students a very short passage of Ovid’s ‘Metamorphoses’ in Latin, side by side with that same short passage in Golding’s 1567 translation. Explain that Shakespeare would have been familiar with this text in both versions. Ask students to speculate about how this particular passage might have inspired Shakespeare in writing A Midsummer Night’s Dream. Both these texts are included in the Student Booklet. ‘Pyramus and Thisbe’ was a popular story with audiences and is retold in various literary works. Among Shakespeare’s works, it can be seen as a source of inspiration for both Romeo and Juliet and the Mechanicals’ play-within-a-play in A Midsummer Night’s Dream. Students should read the extract from Golding’s translation in the Student Booklet and answer the questions that follow. Explain to students some background about the fourteenth century English poet Geoffrey Chaucer and his most famous work The Canterbury Tales. In the Student Booklet, students can read a brief section from Chaucer’s ‘The Knight Tale’, using the glossary to help them. How does this passage connect to A Midsummer Night’s Dream? What can students conclude about how Shakespeare has interpreted and made use of his source texts? What changes has he made and why? Ensure that the discussion supports students in thinking about how Shakespeare blends together elements from many different sources and traditions in this play. Sources could include English folklore, Senecan tragedy and contemporary writings about fairies and witchcraft. How did Shakespeare adapt and combine his different sources in this play? What particular reading challenges did the Ovid and Chaucer texts present students with? How did students tackle them? Ask students to compile a list of their best advice to fellow students on decoding and comprehending these texts. Students could research other tales from Ovid’s ‘Metamorphoses’ featuring Orpheus and Eurydice, Arachne, Apollo and Daphne and Cupid’s arrows. Students could be assigned a particular story and research it for homework; they could then report back to the class in the next lesson. There are no questions specifically about context in the bank of tasks. Instead, students should think about how their knowledge and understanding of the play’s sources and contexts can support their interpretation of the play itself. Can I find out more about how A Midsummer Night’s Dream has been interpreted and received by different audiences over time? Can I find out more about how A Midsummer Night’s Dream has been adapted or altered and why? 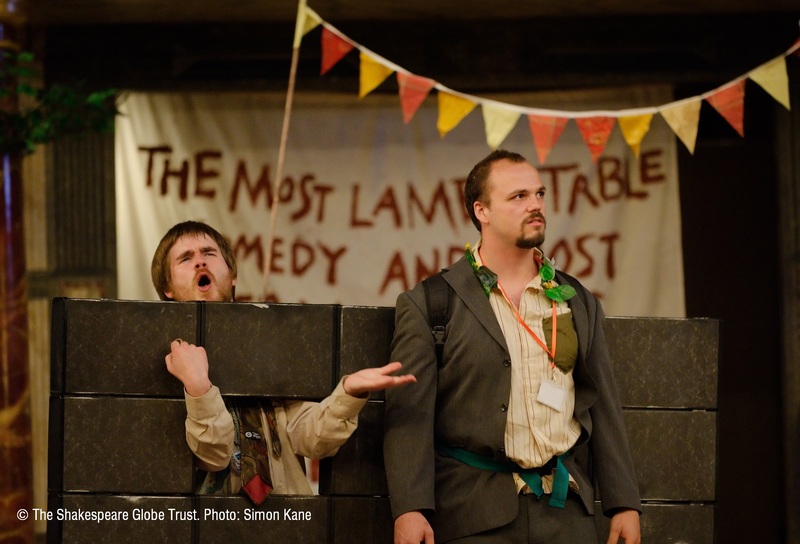 Show students this image of the Mechanicals’ play at the Globe in 2014. Explain that Shakespeare gives his actors and directors a challenge: because a play-within-a-play is being performed, there is an audience for that play as well as a real audience watching both. How did the director of the 2014 production solve this staging problem? Can you think of another way this problem could be solved at the Globe? Say, what abridgement have you for this evening? The lazy time if not with some delight? ‘Masques’ were entertainments with dancing, acting and music. They often featured lavish costumes and scenery, and were a popular entertainment at high-status wedding celebrations. Students could research masques including those of Shakespeare’s contemporary Ben Jonson. Look at images and watch clips from Act 5 Scene 1 of one or more productions of A Midsummer Night’s Dream. Make notes about different ways in which the productions create a celebratory atmosphere. What kinds of ‘revels’ or ‘masques’ are shown? Students should next read the ‘Shakespeare’s World’ extract in the Student Booklet about cutting text. Students should then cut Act 5 Scene 1 up to line 106, leaving only 40 lines. Students should write a few sentences explaining why they made the cuts they did, and compare their ideas in a brief feedback session. Students should then feedback their detailed findings to each other, so that each student has a complete table of notes. They should then feedback their favourite staging idea from the extract to the class, and give reasons why they selected that one. How has A Midsummer Night’s Dream been staged, adapted and interpreted for different audiences and situations? A masque at a wedding not only provided an entertaining pastime, but also celebrated and blessed the happy couple’s union. Where in Act 5 Scene 1 are the marriages blessed and who blesses them? Students should answer the questions about the end of this scene in the Student Booklet, sharing ideas about the effectiveness of the play’s ending. For most of the year, Shakespeare’s company made a profit by playing to the public. Sometimes, though, they were invited to give performances for Queen Elizabeth at her court. These made much more money than their regular shows. They also made the company more famous. A court performance differed from one at the Globe in many ways: all the audience were of high status; performances were indoors; and there was better music with more musicians. As at the Globe, both the audience and the actors were in the light. This meant that the actors would be able to see the queen whilst they were on stage. Some plays written for court have a Chorus or Prologue which speak to the queen directly. Shakespeare’s plays probably did, but such speeches are lost. Students could research other masques and references to masques in Shakespeare plays, e.g. The Tempest and Romeo and Juliet. The Key Stage 3 resources feature an activity in which students imagine being at an early public performance of A Midsummer Night’s Dream. As an alternative version of this activity, students could imagine being at a private performance of the play in the 1590’s as part of a marriage celebration. Can I find out how this play has captured the imaginations of other writers and artists over time? As students enter the classroom, play Felix Mendelssohn’s Overture to A Midsummer Night’s Dream (Op. 21), written when the German composer was just 17 years old. Students may notice that this music is used in the 1999 movie adaptation of the play. Ask students to listen to the music and to make notes on which events, characters, settings or ideas from the play they can hear in the music, e.g. the sounds of Bottom braying! 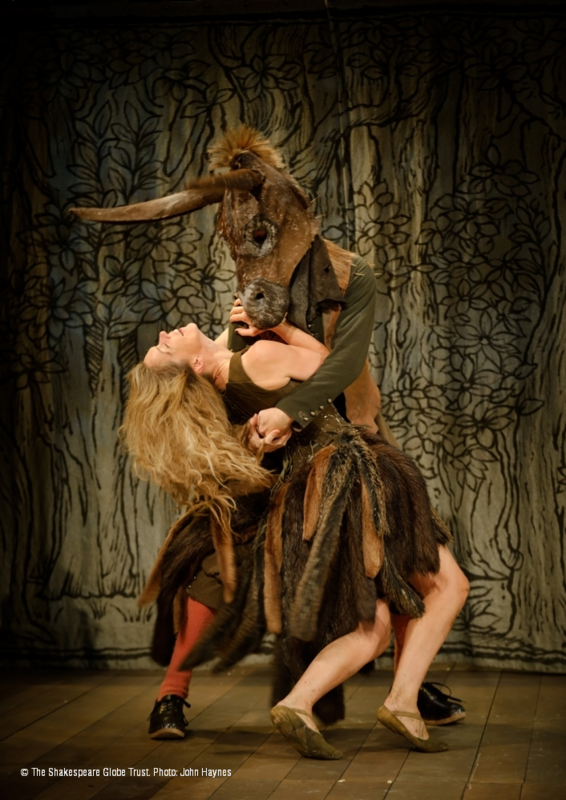 Watch or find out more about a recent version of A Midsummer Night’s Dream, e.g. the 1999 film starring Michelle Pfeiffer, Calista Flockhart, Kevin Kline and Stanley Tucci. Discuss what makes this version of interest to modern audiences, e.g. how faithful to the original play is this version? who do you feel this adaptation is aimed at? has the setting been updated or altered in any way? who are the film’s big stars and who do they play? how funny/romantic/moving did you find this version? what do you think of the film’s cinematography, choice of locations, choice of musical score, costumes, special effects, etc.? What do students notice about the aspects of A Midsummer Night’s Dream that are particularly well-known and iconic? What kind of impact has A Midsummer Night’s Dream had on our culture and language today? How have directors, actors, etc. sought to make A Midsummer Night’s Dream relevant and contemporary? What is it about A Midsummer Night’s Dream that resonates with audiences today? Introduce the homework task described below, and give students some thinking time to scribble down their initial ideas. In Lesson 1 of Key Stage 3 Historical and Social Context, it was suggested that students could view a YouTube clip of Kate Tempest as part of a broader discussion about the relevance and value of reading and studying Shakespeare today. To continue this discussion, students could view this clip of comedian, writer and musician Tim Minchin talking about what Shakespeare means to him: youtube.com/watch?v=X0o8wQfVEhs. Students could also listen to some of Mendelssohn’s longer work (Op. 61), incidental music for A Midsummer Night’s Dream. This includes his world-famous ‘Wedding March’. Can I write about the context of A Midsummer Night’s Dream in a way that enhances audiences’ understanding and enjoyment of the play? to inform audiences about who is acting in the play, etc. 2) Look closely at an article/essay from a Globe programme. 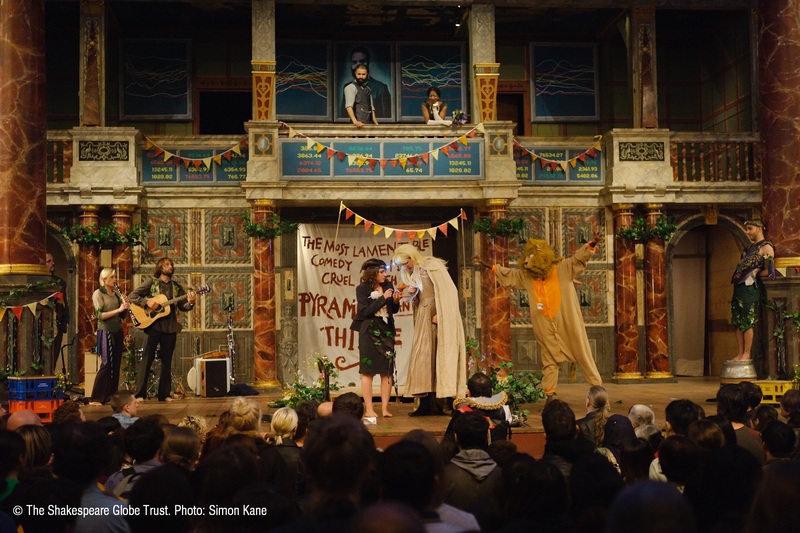 Students should now draft their own programme for a production of A Midsummer Night’s Dream at the Globe. Provide students with a list of minimum contents, but students can choose to include other elements to enhance their finished piece of writing for assessment. Alternatively, students could collaborate to produce one entire programme as small groups or as a whole class. With this and many other activities in these resources, particularly Text in Performance, students could also usefully make links to their local theatres. Perhaps they could visit a local theatre to find out more about programmes and publicity, the theatre’s history and archives, front of house and box office as well as many other aspects such as the auditorium, technical features of the theatre ‘behind the scenes’, stage management, etc. Students’ programme notes for A Midsummer Night’s Dream can be assessed for reading and writing. Ask students to prepare a quickfire factual quiz about the context of A Midsummer Night’s Dream, e.g. Who was the king or queen of England at the time Shakespeare wrote A Midsummer Night’s Dream? In which city does the play begin and end? What is the name of the play-within-a-play performed by the Mechanicals? The Student Booklet contains a page that will help students integrate perceptive comments about context into their written work on A Midsummer Night’s Dream. The importance of placing the text in its historical and social context will depend on the curriculum and syllabus being studied, and the weighting of assessment objectives against particular skill areas. A full list of A Midsummer Night’s Dream tasks can also be found in the Student Booklet.